David Holder gets a close look a M-Sport JWRC Fiesta. Rally driver David Holder aims to become the first New Zealander to contest the FIA Junior World Rally Championship, as the 2016 New Zealand rally champion prepares to take his rallying career international in 2018. Tauranga-based Holder, age 28 and originally from Invercargill, will have regular co-driver Jason Farmer, from Hamilton, alongside him if he’s selected as a competitor in the five-round JWRC which is run by M-Sport Poland. “Right from the outset, I’ve made no secret about rallying being more than a hobby for me. We had thought about entering the Asia-Pacific Rally Championship, but this year’s fact-finding trip to the Spanish World Rally Championship event and other parts of Europe confirmed that this is where I need to be to continue learning and developing as a driver,” says Holder, who counts Kiwi rally star Hayden Paddon among his mentors, with Paddon helping with connections and information while Holder was in Europe. For Farmer the opportunity is an exciting unknown. “Competing in the JWRC is definitely going to be a challenge for Dave and myself,” says the 37-year-old who has co-driven for Holder since 2015. 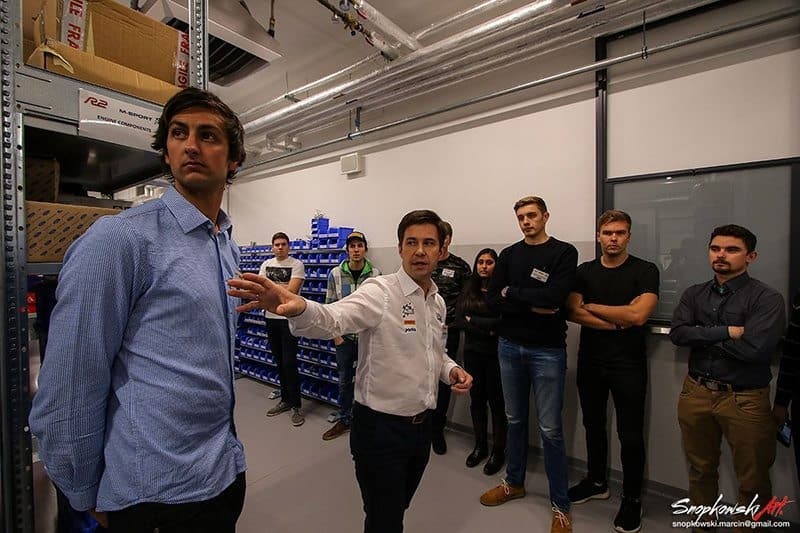 David Holder (left) gets a tour of M-Sport in Poland. 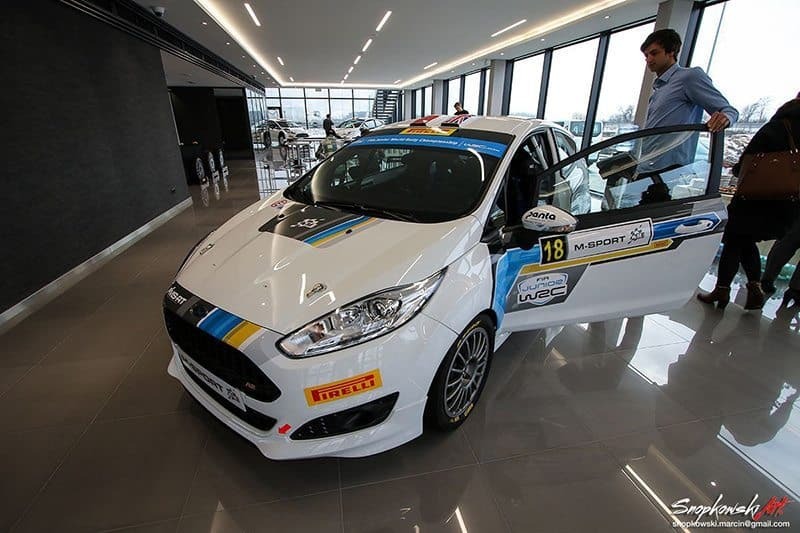 The Junior World Rally Championship follows the ‘arrive and drive’ formula established by the WRC Academy in 2011 with competitors driving the Ford Fiesta R2 EcoBoost rally cars built and maintained by M-Sport Poland under the guidance of team director Maciej Woda. Holder has already registered for the championship, but must await the first selection of confirmed competitors being made on 15 December to be 100 per cent sure of his entry. Meanwhile, he’s hard at work trying to raise the necessary €185,000 budget. Holder has his eye firmly on the very significant prize package on offer for the 2018 JWRC champion, which includes a brand-new Ford Fiesta R5 rally car, 200 tyres towards the 2019 WRC2 series, free fuel for seven rounds of 2019 WRC2, free WRC2 registration and free entry to some rallies. “There’s no doubt the prize package on offer is fantastic, I mean who doesn’t want to win an R5 car?,” Holder says. 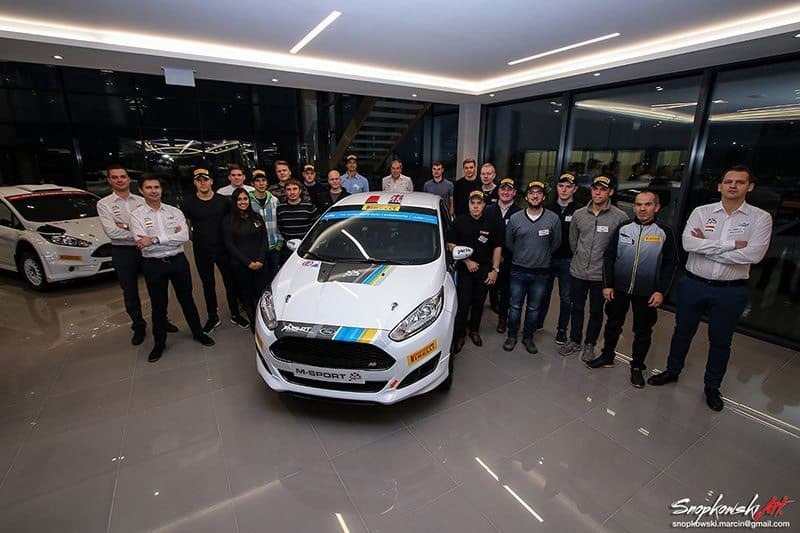 This week Holder took a swift trip to the team’s base in Krakow, Poland to participate in an official ‘meet and greet’ with other prospective JWRC competitors. He also had the chance to meet some of the key M-Sport personnel and to get to grips with the one-litre Ecoboost Ford Fiesta R2, with tuition from former FIA WRC Academy Champion and 2017 Wales Rally GB winner Elfyn Evans. Holder says he was made to feel very welcome at M-Sport Poland. “It’s nice to already feel part of the team here at M-sport. It looks like we will have a great team around us next year, which will let me and Jase focus on our job in the car. “The facilities in Poland in incredible; everything is immaculate with each and every space/feature in the building designed for a specific purpose. The level of professionalism certainly jumps up a few notches when you see what goes on behind doors in a factory team. With two months until the first event in Sweden, Holder and Farmer have both the funding and travel logistics to work on alongside their fitness regimes, which includes Farmer’s recovery from recent ankle surgery. They’re getting plenty of support, particularly from Paddon. Paddon is delighted to see Holder pursue his dream of an international career. Holder’s wife Adina may join them in Europe, as he’ll need a logistics and social media person on the ground. “Regardless of whether Adina is that person, there’s no questioning her support for the campaign, for which I’m very grateful. In her words, she’s ‘never felt more sure about a rally decision’. “I’m also grateful for the support of Vehicle Inspection New Zealand (VINZ) and their CEO Gordon Shaw for the past two seasons. Now we’re working to build a family of supporters keen to help get the next New Zealander to the World Rally Championship,” Holder says. More information about Holder’s world rallying journey can be found on his Facebook page https://www.facebook.com/holderbrothersracing.